Silk Road Mastermind Gets Life Prison Sentence Why Medical Marijuana Patients’ Rights Are Under Attack Across the U.S. Thanks for re-blogging. I reviewed all of ASAM regarding MMJ public policy. The plan is for the ASAM and the FSPHP to recommend both public policy and changes to state Administrative Practice and Medical Practice Acts that mandate any doctor who counsels an MMJ patient be an “addiction medicine” specialist under the (false) premise of authority in that these doctors have the “special knowledge and experience” to do so. 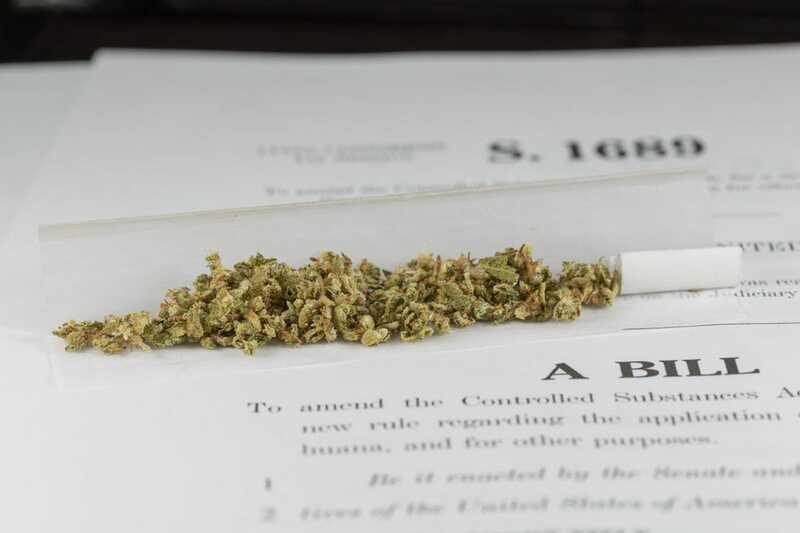 The ASAM/FSPHP and state physician health programs play a powerful yet unseen role in MMJ regulation. Although hidden they pull the strings at the medical boards, medical societies and departments of public health. They also have a strong alliance with the DEA. The underlying current of fear also pervades medicine. Many MMJ activists are blaming “doctors” for not speaking up. Take a look at the article below concerning NJ. Doctors are afraid to have their name on a website out of fear of being pulled in by the Medical Society PHP. This has already happened to a friend of mine in Oregon. All it takes is an anonymous complaint to bring you in and that is what they did to him. I also know of two doctors who were involved in MMJ who were pulled over driving, referred to their state PHP and ultimately diagnosed with a (non-existent) diagnosis of substance abuse by one of the “PHP-approved” assessment and treatment centers. Things like this effectively silence the voices of the rest. As with all of the other chicanery and misconduct this is all hiding in plain site. The ASAM/FSPHP is not a medical specialty but a “special interest group” representing the drug and alcohol testing, assessment and treatment industry (Each billion dollar enterprises). They represent prohibition, the drug war and are anti harm-reduction and anti -MMJ. This paradigm supports how they profit and it is static, stagnant and not amenable to reason, fact or science. The ASAM is the public outreach and education arm of the front-group. The FSPHP is the private “muscle.” The FSPHP are the “Brown-shirts” for prohibition if you will. They are unregulated, accountable to no one, and under multiple layers of immunity, impunity, and opacity. CHEVY CHASE, MD, JANUARY 21, 2014 – The American Society of Addiction Medicine (ASAM) expresses its concern that the President’s comments regarding marijuana use, in the January 27, 2014 edition of The New Yorker magazine, may contribute to the growing misperception among America’s youth that marijuana is harmless. ASAM, the largest American medical professional society dedicated to the treatment and prevention of addiction, has examined both the medical and recreational use of marijuana and the public health consequences of both. In neither case, did the Society find sufficient evidence to support the notion that the public health benefits of using the illicit drug outweighed the dangers to users and to their communities. According to the National Institute on Drug Abuse, marijuana is an intoxicating drug that impairs memory, motor function, and, when smoked, respiratory health. And, for nearly one in ten habitual users, marijuana is addictive. ASAM encourages the President and our nation’s policy makers to build public awareness for addiction prevention and treatment, whether the addictive substance is alcohol, nicotine, marijuana or prescription opioids. ASAM looks forward to working with the Administration and state and federal policymakers to advance science-based policies that deter unhealthy substance use and promote access to treatment for those that need it. I have not covered these issues yet but it they are on the roster. If there is any way you can take a look, fact check and help me get it out there please do. I need allies.